Let’s go to this beautiful island! I just found awesomely cheap flights to Cyprus for you guys! For only 299 kr you can discover for 7 or 14 days one of the most beautiful island in the mediterranean sea: Cyprus. Isn’t that cool!? 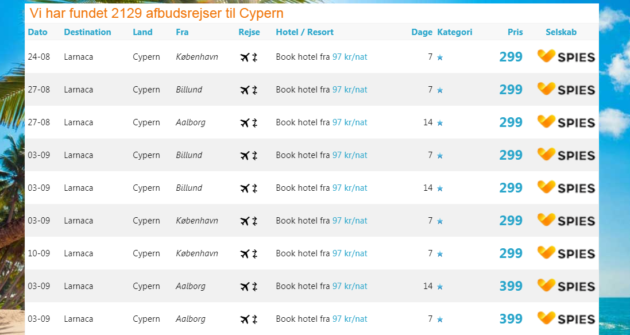 The flights are with JetTime from Aalborg, Billund and Copenhagen directly to the islands of Cyprus. Included in the price is one piece of hand luggage (6 kg). You can add checked luggage separately to your booking for an extra charge. 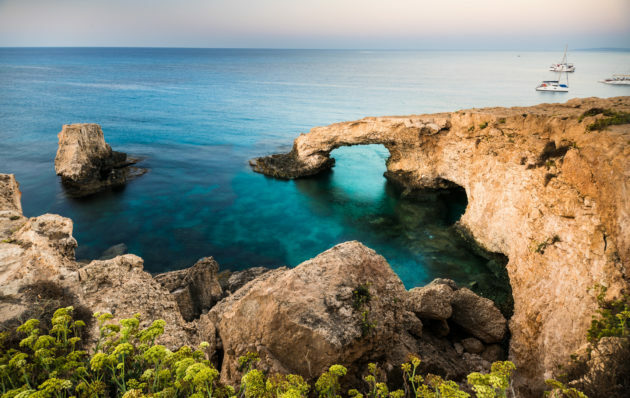 Cyprus is not only known as the birthplace of the beautiful goddess Aphrodite, it is also well known for its sunny weather, amazing beaches and crystal clear sea. Enjoy the climate, the delicious food and explore the island with your friends and family. Go on long walks for example through the historic center of Kyrenia and visit the castle of Kyrenia with a great view over the port. There are several cheap dates available in August & September 2018. Click through the links and see if you can find something that fits with your schedule. If you’re looking for hotels on Cyprus, we recommend Booking.com for the best deals. Let’s go to the Cyprus deal! Sign up for my Newsletter, and don’t miss anymore deals. You’ll be the first to find out about our Cyprus bargains!